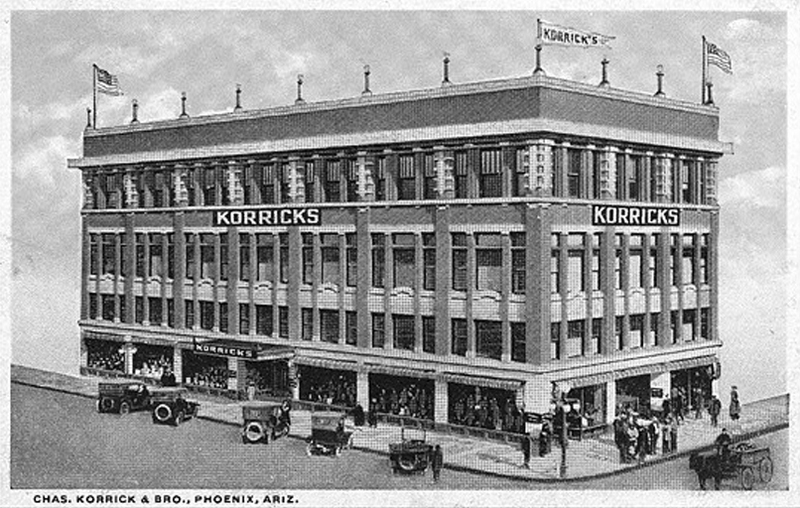 When Sam Korrick opened his store in Phoenix, in 1895, he called it "The New York Store". 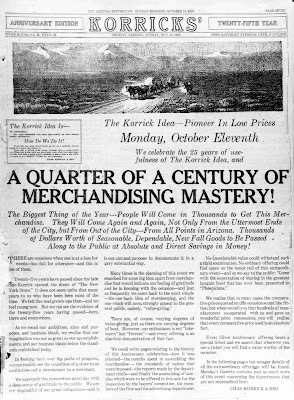 It seemed to be a trendy thing to do at the time, as there were other stores with similar names, most notably the Boston Store (Diamond's). Over the years, the New York Store started adding the name Korrick's to it, until the words "New York Store" were dropped. 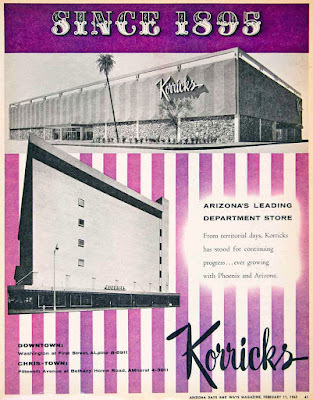 In the 1970s, Korrick's was absorbed by the Broadway. 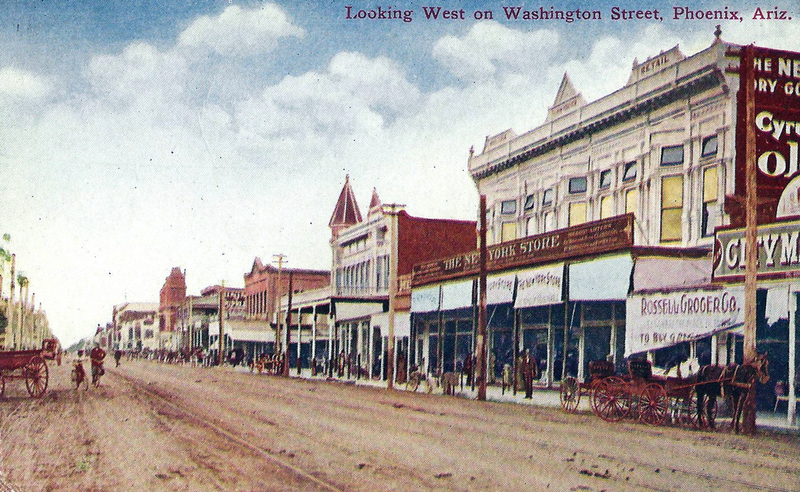 The New York Store in 1905, 3rd Street and Washington, Phoenix, Arizona. This was their original location until the new building on 1st Street and Washington was built in 1914. 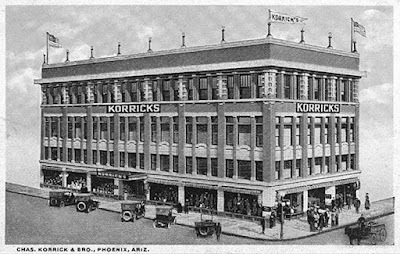 Korricks in 1915, 1st Street and Washington, Phoenix, Arizona. Although the building has been enlarged and "re-skinned", it's still there. 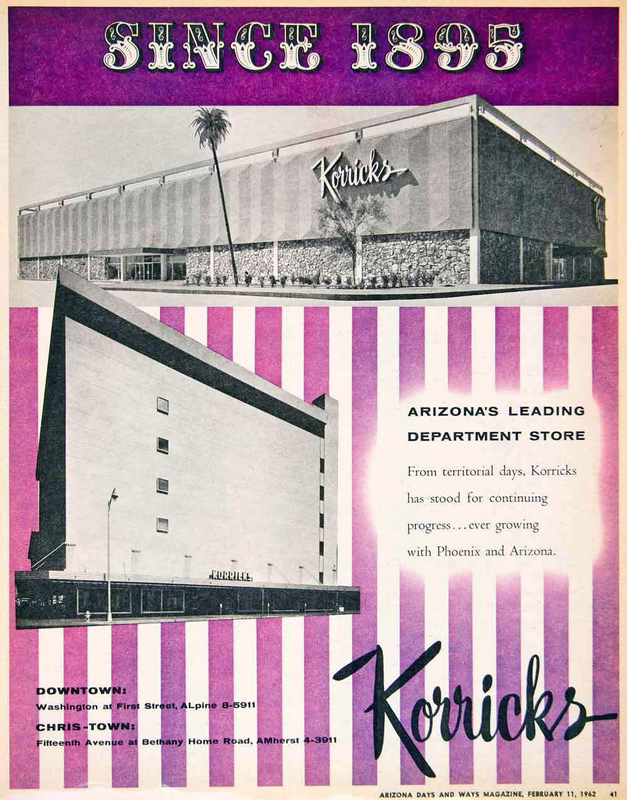 Korricks in 1962, downtown (lower photo) and Chris-Town Mall. From Arizona Days and Ways.